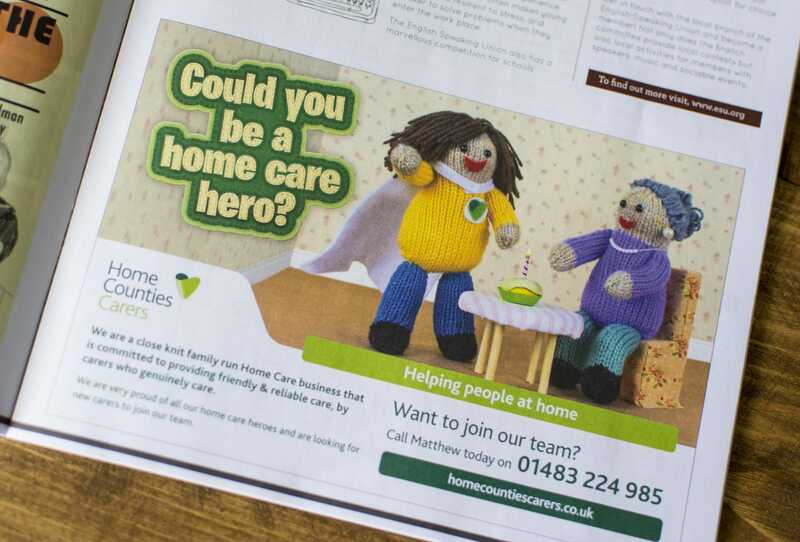 Home Counties Carers approached me in 2016 wanting to completely refresh their advertising. 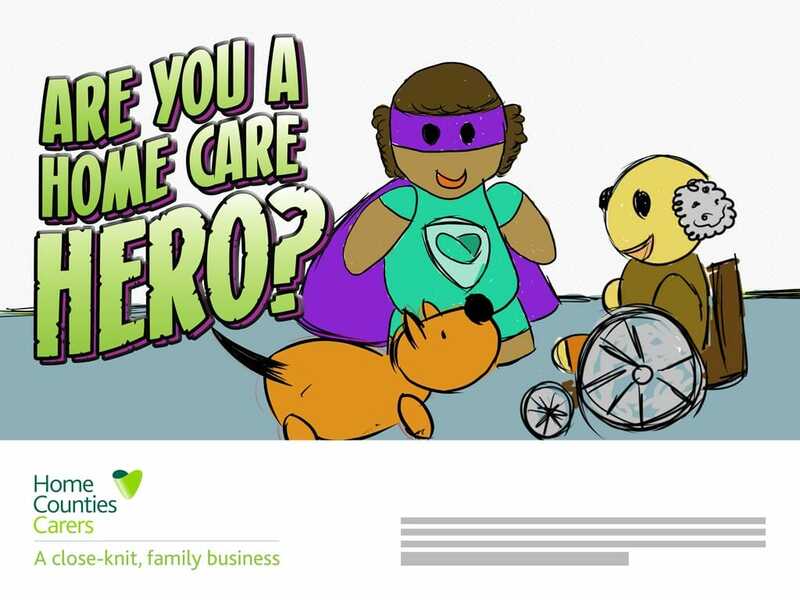 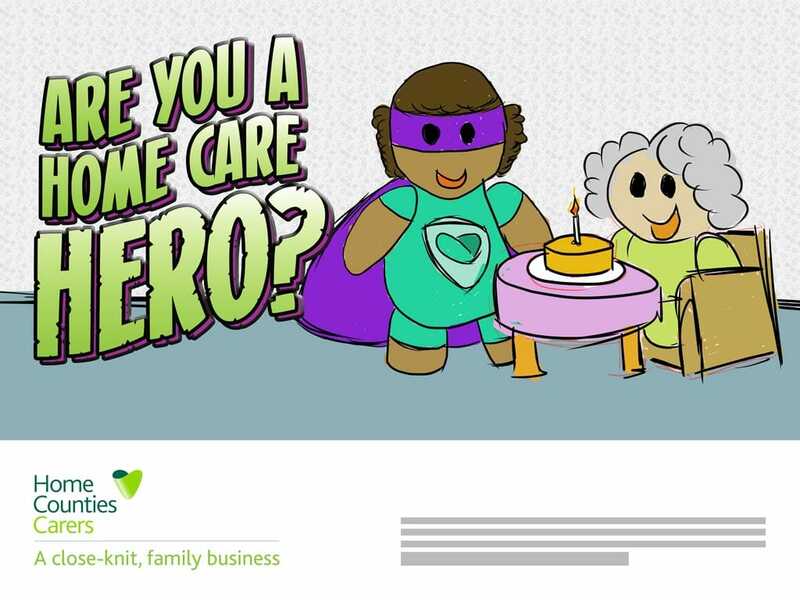 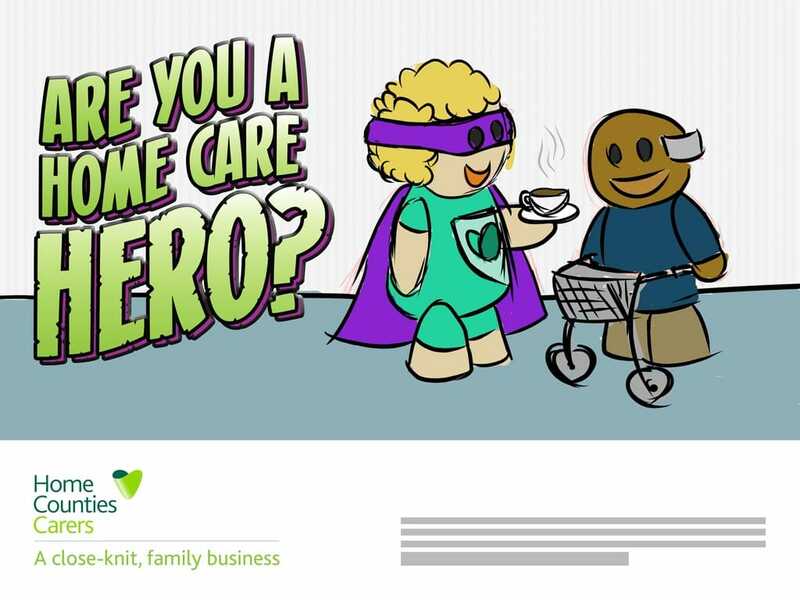 I wanted to steer clear of the traditional imagery of old people being cared for and decided to focuss on the amazing carers who work for Home Counties Carers and the people behind this family run company. 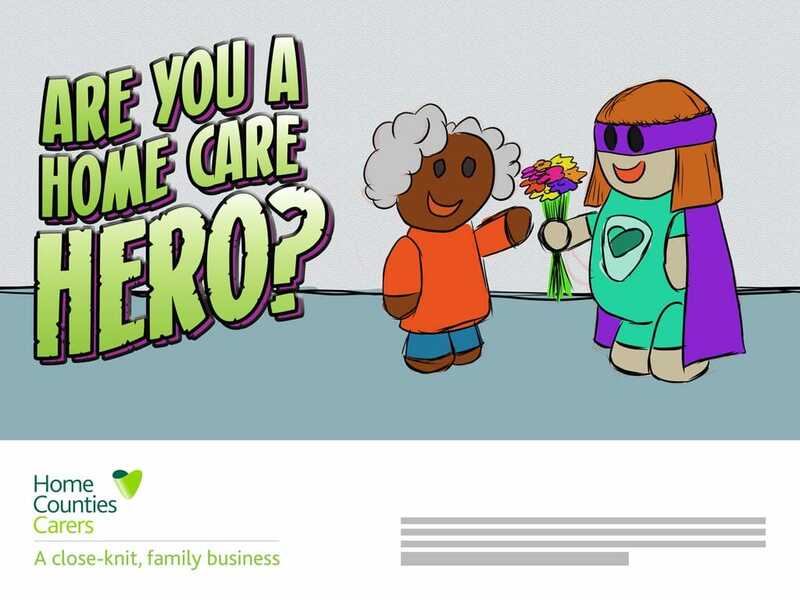 With this in mind I came up with a campaign message 'a close knit, family business' and designed knitted characters as the focuss of the adverts. 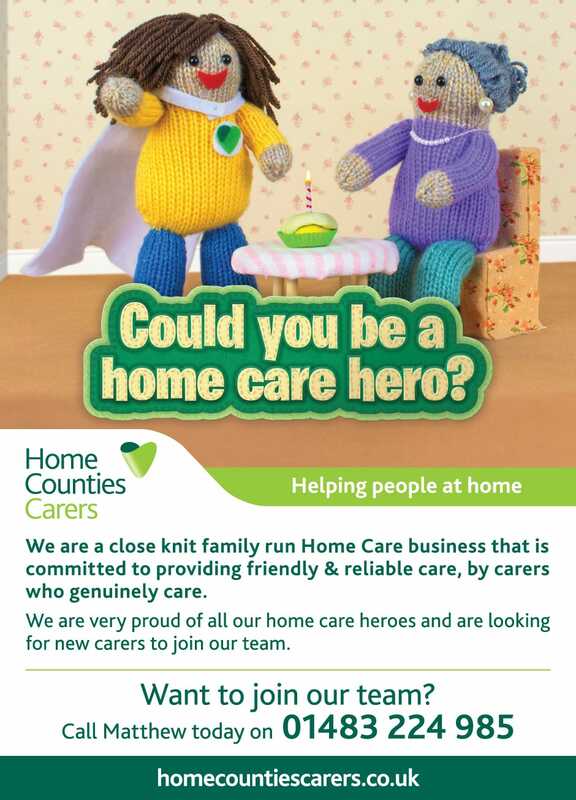 The people were knitted by my very talented wife. 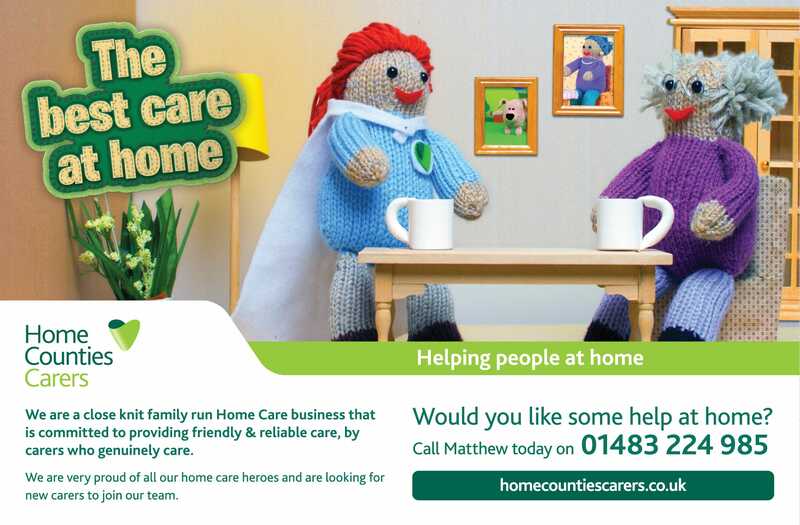 We also hand made all the sets and I photographed them in my studio at home. 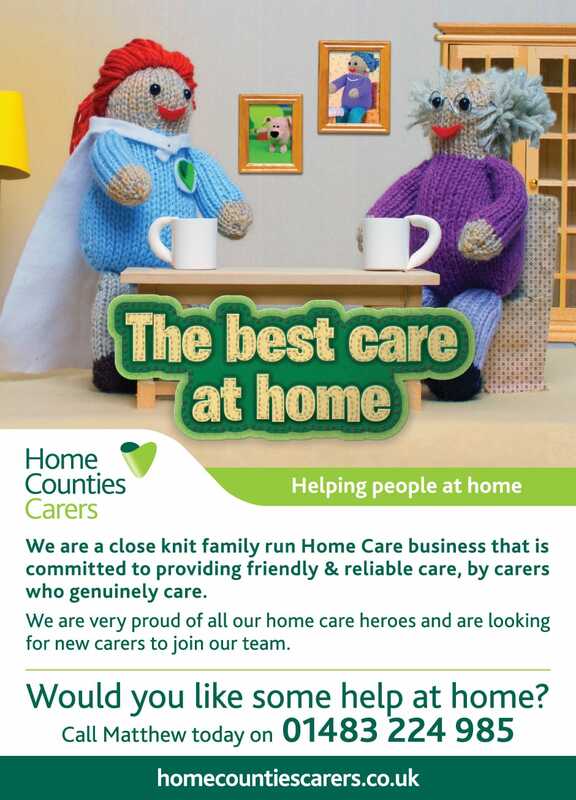 The hand craft feel to the adverts softens the message and creates a sense of warmth and comfort the carers provide.